U.S. automakers may have nearly abandoned the sedan segment, but trucks and SUVs remain the cream of the crop. 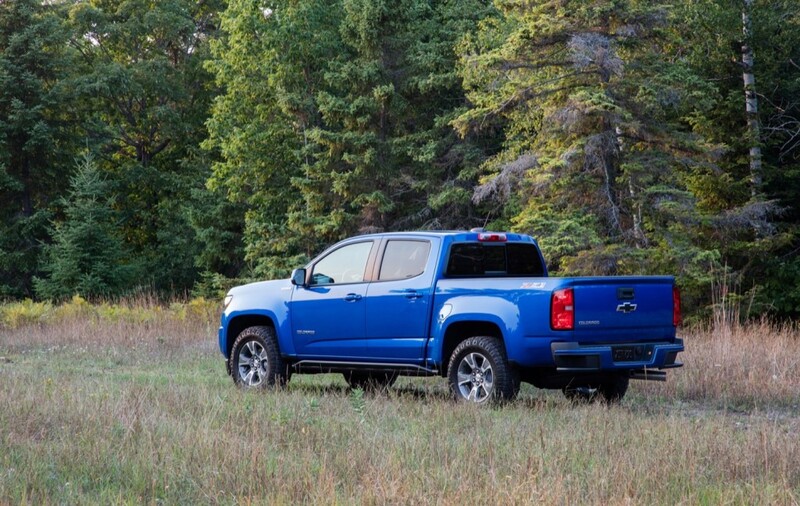 However, General Motors and the Chevrolet Colorado will soon face a new pickup truck in the segment. Hyundai confirmed it has fast-tracked a pickup truck for production, and it will likely launch in 2020, according to a Monday report from Autocar. Luc Donckerwolke, the new Chief Design Officer at Hyundai Motor Group, said the truck will launch “as soon as possible” and the final design has been completed. The process to put the pickup into production is now underway, he added. Expect the truck to mirror the 2015 Santa Cruze pickup truck concept from the 2015 North American International Auto Show. The concept truck was sized similarly to the Chevrolet Colorado. It’s more than likely we’ll see a production Hyundai pickup take on the mid-size truck segment. The concept packed a 2.0-liter turbo-diesel four-cylinder engine with 190 horsepower and 300 lb-ft of torque that returned estimated fuel economy figures in the high 30 mpg range. But, don’t expect a platform to compete with the Colorado directly. Base versions of the pickup will likely send power to the front wheels, while all-wheel drive will be optional. Consider the Santa Cruz more akin to the Honda Ridgeline, but sized to compete with the best from GM and Ford. 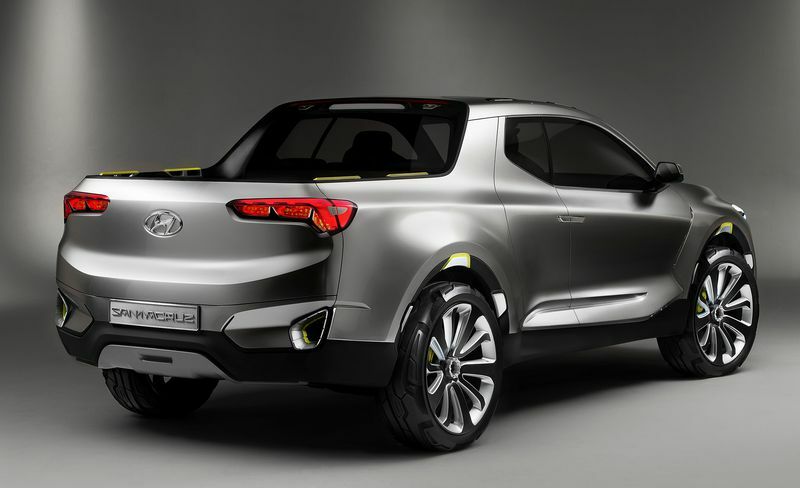 The Hyundai pickup could also give way to a Kia version, the brand said. However, such a vehicle isn’t likely until Kia shores up its SUV and crossover portfolio, executives said in the report. Both Hyundai and Kia plan to launch full-size crossover SUVs in the months to come in the Kia Telluride and Hyundai Palisade. Both will give the Traverse and Enclave a run for their money. This is just another attempt of a CUV based unibody FWD based truck. It is just another Ridgeline like vehicle more than the body on frame RWD based Colorado. Automakers are eyeing this segment as they do not see stealing away traditional truck buyers but they do see a migration of CUV buyers to trucks. This is a compromise of both. The Honda made a small dent in the market and a better looking vehicle could do more. I would wager even GM has something based on the Blazer or Nox floating out there in their tech center as a possible new model. Automakers will look for new ways to package CUV models to try to draw in buyers and a mix of the CUV and a truck could prove very profitable if you can get it right. I would love to see a Blazer done this way with a Avalanche like opening cab. It would compliment the Truck line up. Anyone remember the original Denali Concept? Something like that would play well even on a Unibody. It won’t look anything like that. It will be a chassis based pick up like the Colorado. I bet we see the IONIQ hybrid or Kona EV drivetrain implemented in this truck, with higher capacity batteries. Where do you put the plywood? Seriously, how many people carry plywood on a regular basis in the general population other than people that work with their trucks? 1. Engineers could designed an expandable back area, like a dining room table that can open up and accommodate more people. 2. Eliminate the passenger seat. If they’d called it a Ute from the start, no problem, Main problem is that its a FWD based vehicle not a rear drive based vehicle. This vehicle, RWD based with the 3.3L turbo V6 under the hood would be great honestly as a Ute. Honestly, I’d truly prefer the Tau 5.0L V8 with an all-wheel drive setup, big brakes and things like that but that’s just me. Was always a fan of El Camino and this may follow along the car/truck segment? Urban weekend warriors might prefer car based pickup and convenience of a bed instead of bags of dirt in trunk? Not everyone needs a full sized crew cab 4×4. At least it has two doors instead of four. May fill in the wide open void left by the S10 and old Toyota and Nissan mini trucks? Those things were everywhere. This segment is going to see many things and ideas as everyone will be searching for the sweet spot. Many people need a truck just for the local home things. It gives them the option for dirty things and tall items. But the people buying these are not doing heavy work or heavy towing. The truck market will be split up into segments of size and ability to match buyers wants, needs and affordability.